Our design for a 2,700-square-foot basement level beneath a Grade II listed house in St John’s Wood won planning permission in 2014. 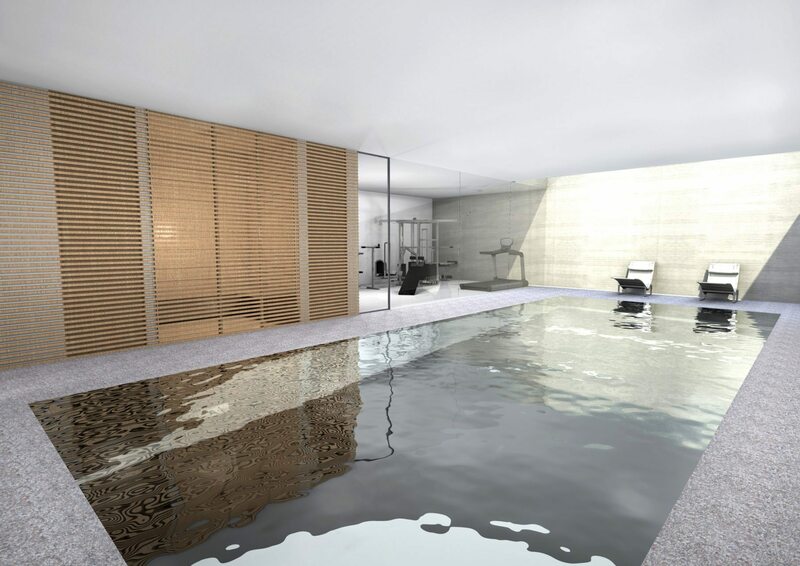 The new top-lit basement includes an 11-metre-long lap pool with a skylight hidden discretely behind low box hedging in the garden above. 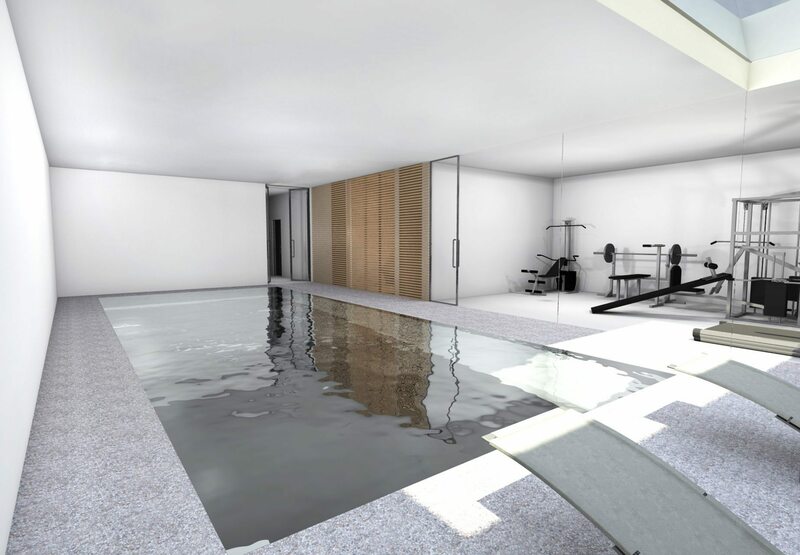 The new floor also includes a private gym/yoga studio, sauna, hamam and home cinema.